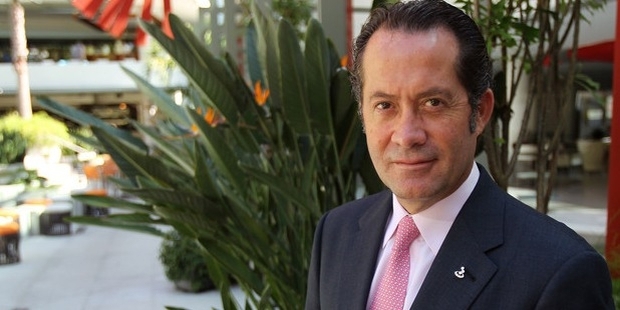 56-year-old Juan Carlos Escotet is a Venezuelan banking billionaire. According to Forbes, Juan is the 534th richest man billionaire in the world and the 2nd richest man in Venezuela. His major source of wealth comes from the baking industry. His estimated net worth is US$ 2.5 billion. Not too much is known about Juan’s childhood years. However we do know that he has completed his education and acquired a Master’s degree from the University of Miami. Not too much is known about Juan’s early career. However we do know that at the age of 17, Juan worked as a bank messenger for Banco Union while he was studying for economics. After completion of his education from the University of Miami, Juan went on to become the founder of Banesco, the banking empire. After completing his education, Juan went on to become the founder of Banesco, the banking empire. Banesco is a Caracas-based bank. 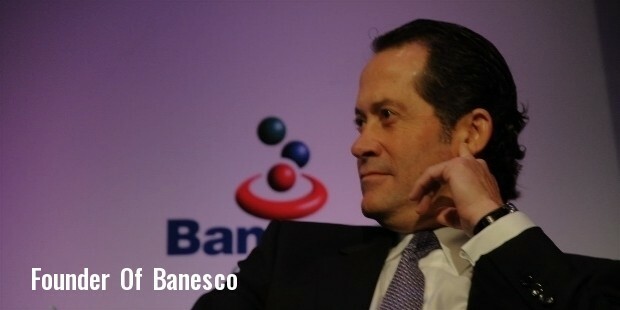 Recently Banesco purchased Abanca for a whooping US$ 1.3 billion. 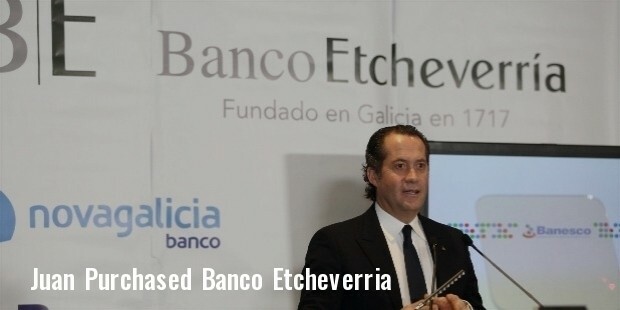 In the year 2012, through Banesco Juan also purchased Banco Etcheverria for a whooping US$ 66 million. From the time of its founding, Juan has played a vital role in gradually and successfully expanding the banking institution. 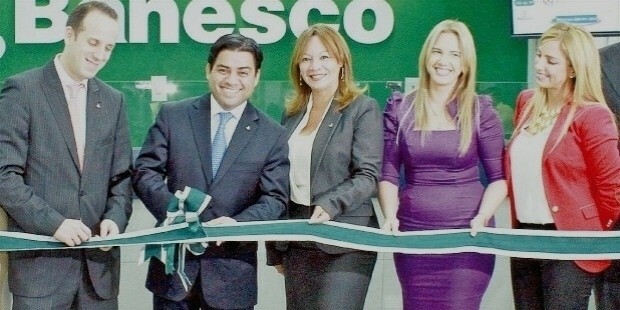 Banesco currently has branches across several countries, some of which include the Dominican Republic, United States, Colombia and Puerto Rico. Besides this there is also an insurance company called Banesco Seguros, which functions out of Venezuela, providing insurance to a large number of its citizens. Juan had also founded a money management firm called Casa de Bolsa Escotet Valores in the year 1986. He gradually expanded the money management firm and included banking services to it and eventually even offered insurance. In the year 2001, he merged Casa de Bolsa Escotet Valores with Union. Juan started his first ever job as a bank messenger at the age of 17, while he studied economics. He gradually went on to found his own bank, Banesco. Banesco currently has branches across countries like the United States, the Dominican Republic, Puerto Rico and other countries. 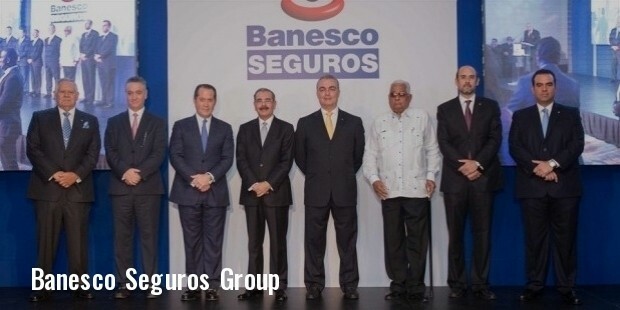 From the time of establishment of Banesco, Juan has strategically and smartly expanded the business and now even offers insurance services to the Venezuelan people under the company name Banesco Seguros. Not too much is known about Juan’s current personal life However we do know that he is married and has a total of 4 children. All 4 children are male and work alongside Juan at Banesco. Juan was born in Venezuela and continues to reside in Caracas, Venezuela. He even holds a Venezuelan citizenship. Juan enjoys running recreationally and even aquatic sports. Juan is currently around 56 years old. He is amongst the richest people in Venezuela. Juan has won no awards.